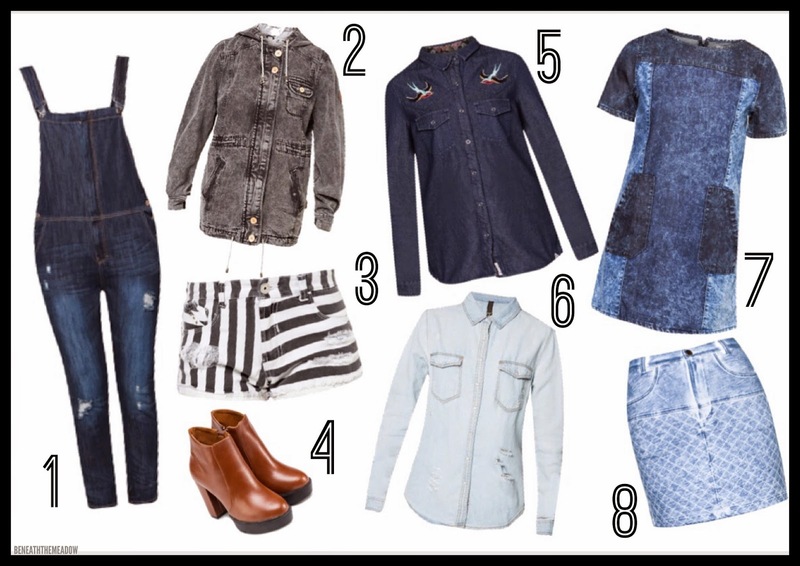 Another long fashion post, but this time of the year, DENIM is definitely the thing we are going for. It's the time between summer and spring and this is when denim came off with style, not just talking about the old boring denim jeans, but something stylish to pull it off on your day, something different with the new styling method of denim. Long dungarees are my favorite casual look, those days when you really don't have a clue of what to wear or how to match your tops and bottoms, this overall outfit will come in handy. Simply throw in something simple and plain, perhaps a plain white or black color tee? Or probably a black-and-white stripes crop top? Add a little edginess by folding the rim of the dungarees twice, or probably leave one button out to let part of the front part fall out? This gives out a casual, lay-back look but with a bit of street style to pull it off. Medium wash denim jacket basically goes along with everything, you can easily create that messy, casual look but still stand out on the street. Throwing in a blouse or plain tee inside with an easy match with a pair of denim shorts or skirt, leave the flies of the jacket open, everything will look so stylish and blow others' mind. 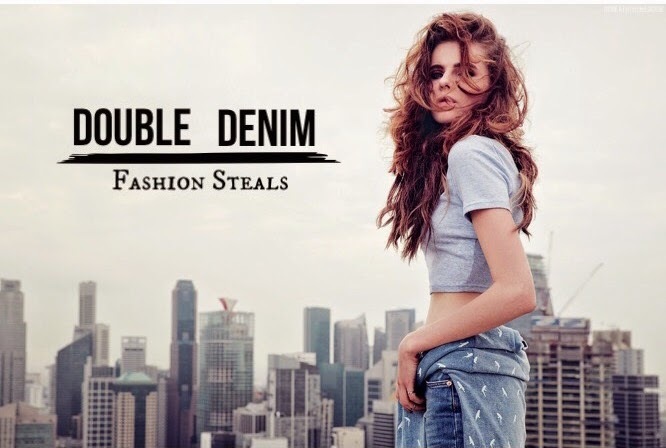 People often wear denim blouse the way they are supposed to wear, but this is not the way to go, denim blouse is basically a piece of cloth that you can transform into anything you want. Instead of using it as a blouse, consider it as a jacket, throwing in a tee along with a pair of shorts or skirt. I often wear my denim blouse in another way, basically matches with any kind of shorts or skirt, I will tie a little knot with it, right on my belly so that it gives a little crop top style, you can either throw in something plain so you can just tie your blouse's end without buttoning, or just wear it as a blouse and leave out a few buttons so there is some space for you to tie it. I really love the knot-tying style because it is somehow unique and it makes your body shape looks better especially your waist. You may see how the model wear it from the above photos, if you want something classy yet stay in a sense of edge, try on some denim dresses, the texture doesn't necessarily has to be denim but only looking like denim will be fine, so the dress can easily show your curves instead of being all stiff and hard on the edge. Throw in a pair of leather boot as it can take some of the focus to your feet, denim is always a great match with leather, classy yet edgy together. What do you think of the styling with denim?